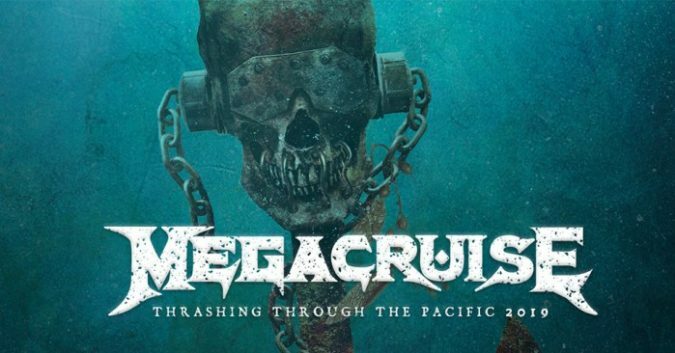 MEGADETH have revealed the initial line up of bands that are scheduled to set sail on the inaugural “MegaCruise 2019“. So far, the roster includes a number of amazing acts, some the biggest names in metal… and more. The cruise will sail from Los Angeles, CA on October 13th, hitting ports in San Diego, CA and Ensenada, Mexico on the NCL Jewel (Norwegian Cruise Line’s ship named Jewel), then returning on October 18th. There will be a roster of guest hosts and emcees for the cruise announced soon. You can find all pertinent details and information, including ticket purchases, at the MEGACRUISE official website HERE.